Doubling down on his comments regarding George W. Bush and 9/11, GOP frontrunner Donald Trump has declared that the then president knew that the attacks were coming. Appearing on CNN’s New Day Trump refused to apologise for previous comments about Bush and the 9/11 attacks, going as far to say that the president was given warning, and that he had “advanced notice” that it was coming. “His brother could have made a mistake with the actual hit,” Trump continued. “They did know it was coming. George Tenet, the head of the CIA, told them it was coming. So they did have advanced notice,” the billionaire candidate added. 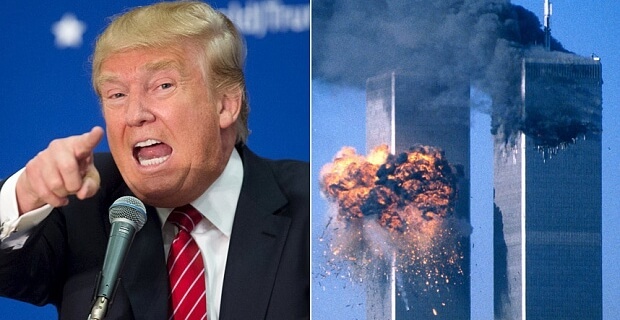 Trump is entirely correct that US intelligence, and in particular the CIA had advanced knowledge of 9/11. This was documented by every major news organisation just days and weeks after the attacks and it is not a conspiracy theory. Last week Trump told Bloomberg’s Stephanie Ruhle that he would keep the US more safe as president than another Bush.